If you have never tried bentonite clay mixed with Bragg's organic Apple Cider Vinegar, you are missing out big time. Every time I use this mix, my hair is left soft, shiny and curly. Moreover, my hair and scalp feels so clean. 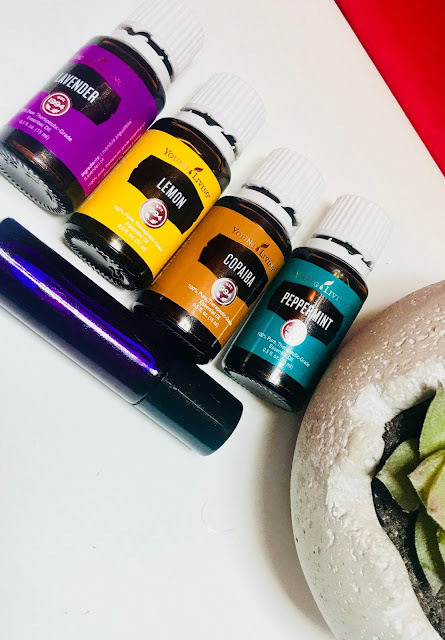 I usually add a few drops of Tea Tree oil to treat any scalp issues ( I don't think I have any but just in case). I do this treatment once a month on my hair but I try to use the same mix on my face more frequently. As you can see in the picture, I make the mix very thick. I do not use water because I want my mix to be as acidic as possible. This acidity, I believe is the reason my hair is shiny and curly afterwards. I usually follow this treatment with Henna. I believe that my hair is clarified and "open" to receive treatment at this point. For maximum effect, I always cover my hair with a plastic cap for about 15 minutes, before rinsing it out. And just before I rinse it out, I use my finger pads to clean my scalp and squeeze the clay down my hair. I tried the commercial clarifiers in the past but did not have any success with them. They shrank up my hair and got it tangled. What about you? Do you clarify your hair? Have you tried Bentonite Clay and if you did, did it work for you? haha, you look like ojuju. I've never tried Bentonite clay before. I saw the liquid mix at a health foods store and knew that couldn't be it. I'll try it one of these days. Also, its summer so my hair could use a little tinted color with Henna. LOL @ Ojuju. Come to think of it I really look like one. Oh well, my face and hair feels and look good afterwards. Your hair looks great post-application. Very pretty. I have used bentonite clay for 3 sessions now and i love it. I am just never sure of the application. 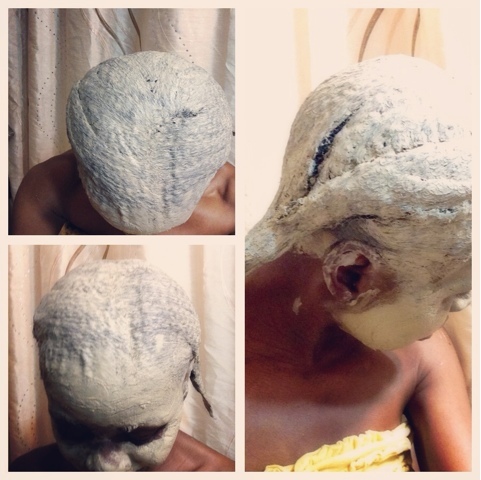 On google some people say cover it and make sure the clay doesn't dry on your hair, others say let the clay dry. Some say treat for a few minutes, while some leave the clay for an hour. What technique do you use? ALso do you have any previous tutorials on your finger coils? They were cute! Thanks. I know.. you have to be careful using so many confusing info out there. As for me, after applying this clay, I do cover my head with a plastic cap for about 15 to 20 minutes, so all the impurities in my hair can be completely drawn out. Then I get in the shower, use my finger pads to clean my scalp, squeeze the clay down each twist(my hair is always in twists when washing). Then I rinse out. 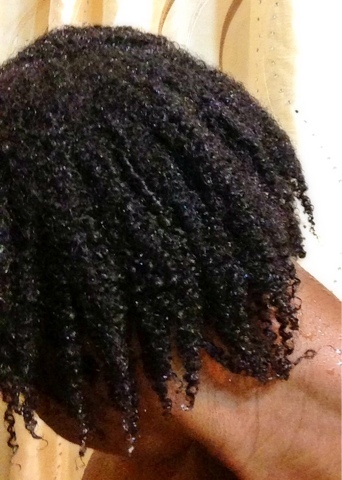 I usually put my hair back in twists while I am rinsing, but for the purpose of showing the effect of Bentonite Clay on this post, I left my hair loose.